When we first got married someone suggested to us that we should try to go to a different state every year for our anniversary so we could make it to all 50 states by our 50th wedding anniversary. We loved that idea! 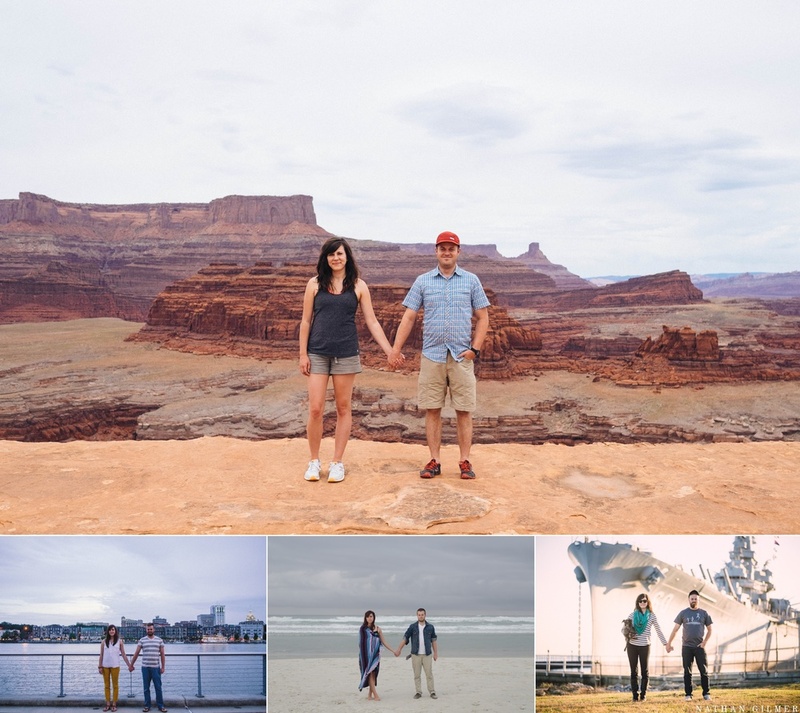 So every year, in a different state, we’ve taken a picture doing the same pose, bought a post card from where we visited, and had fun exploring the area. We are reminded every year what an amazingly beautiful and unique country we live in. If you ask most Americans “If you could travel anywhere in the world where would it be?” the answer is almost always somewhere oversees in a different country. Rarely do you get an answer of one of our own states and rarely do you meet anyone who has been to all 50 states! I have definitely been guilty of this and while I certainly have dreams of traveling all over the world, I have only been to 20 states in the US. Every state has something amazing beautiful and interesting about it. My breath is taken away on almost every trip we’ve taken. This year was Moab, Utah and oh my goodness it was unlike anything I have ever seen! We took so many pictures that we decided to break it up over a couple posts coming later this week!